For more than 100 years, ESAB Welding Equipment & Supplies has been powered by the will to continuously seek new and improved ways of serving their customers. 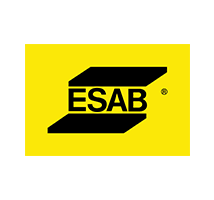 From multi-process welders to cutting tips, ESAB provides high quality welding products for virtually every welding and cutting process or application. ESAB produces industry leading MIG welders, plasma cutters, and other power sources to get the job done.